If you are planning to be in Shetland for an extended time during the November to March period - perhaps on business - then we can offer advantageous rates. You will find that Fairview, with its thick walls and effective oil central heating is a warm place to return to on winter evenings. With much more personal space available than a hotel, staying at Fairview will allow you to spread out and settle in comfortably. 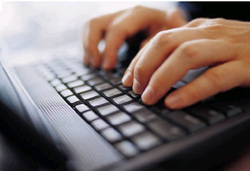 Broadband internet will help you stay in touch with office or home. With Fairview's central location, travel times to Lerwick and Scalloway and other parts of Shetland are quick and convenient. Please get in touch with your requirements and we will make sure that Fairview is configured to suit your needs.